Property on the Northern Beaches. Get a FREE Quote! Life on the Northern Beaches is highly sought-after, and chances are you love living close to the beautiful beaches in the area while also having easy access to the Sydney CBD. However, from time to time, you may have large, unwanted items that you need to get rid of after spring cleaning or home renovations, or you may have considerable junk removal needs after doing some work in the garden or tidying up the garage. 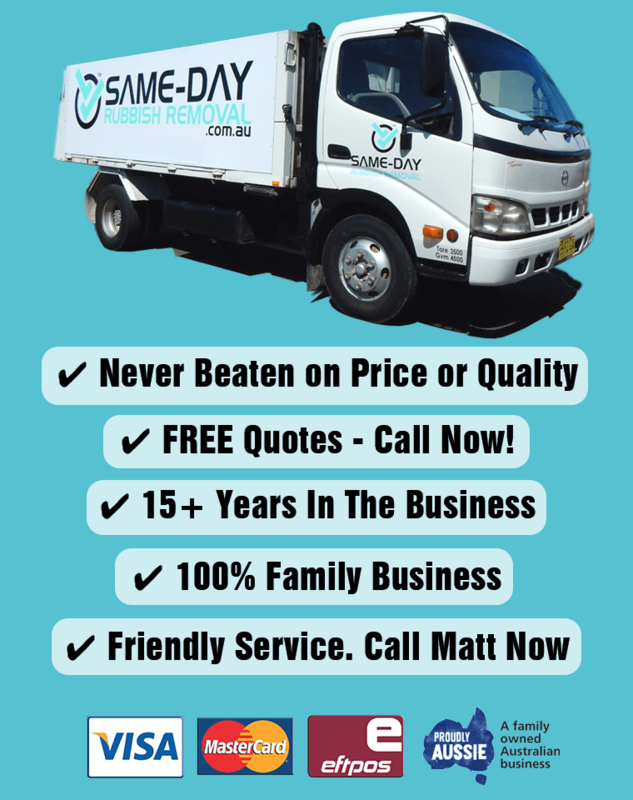 When you have unwanted items and do not know what to do with them, contact Same-Day Rubbish Removal for assistance. We provide you with a simple, easy solution for removing the waste and debris from your property quickly, and we are ready to head to your location to get the job done promptly and without fuss. 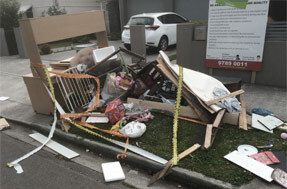 If you are ready for your rubbish worries to go, call us now on 0402 737 046. Junk and debris can easily clutter up your space, and you may be wondering how you will get these items removed from your property. You may have looked into some of the options – widely known options include taking your junk to your closest tip or hiring a skip bin. Both of these options involve a lot more work and money than you’d think. If you own a large ute or trailer, the tip may be a reasonable option, but even though you do everything yourself, you’ll still be charged with a fee at the tip. A skip bin requires a lot of work too, but costs are even more as you have to pay for duration of hire. When curbside waste removal service is not the right answer, reach out to Same-Day Rubbish Removal. With our fast service to the Northern Beaches and affordable rates, there is no reason not to call us today. Our friendly, hardworking Sydney team provide junk removal service for all of your needs throughout Sydney’s Northern Beaches suburbs. This includes communities like Narrabeen, Mona Vale, Newport, Avalon Beach, Warringah, Manly, Pittwater and Warriewood. Our team provides prompt, efficient, hand-loaded waste removal services to ensure that our efforts are thorough and complete. We want to remove all of the waste from your property quickly without damaging your property, and we offer the junk removal solution that you are looking for. We have thousands of happy customers across the Northern Beaches and Sydney who have been impressed by our exceptional service in the past. We won’t leave your place until every last piece of rubbish is gone – yes, we’ll do all of this, you don’t even have to lift a finger! If you’re needing to dispose of old technology like televisions, washing machines, computers, or printers we’ll make sure it goes to the right place – recycled where possible, otherwise responsible disposal. If you’ve got old furniture such as couches, lounges, beds, mattresses, etc., we’ll take care of this too. No matter how big or little the job is, our friendly team can be at your Northern Beaches location in no time, ready to take your rubbish away. 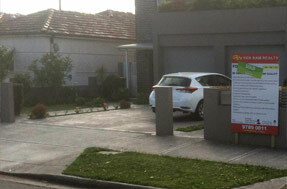 For a free quote, call us now on 0402 737 046.